Windows OS for smartphones was a big step for Microsoft in expanding their technology kingdom further. And we can say they have done this more smoothly than we all expected. It was released when Android and iOS ruled the smartphone world. The people's decision to try out new OS led to the slow growth of the new Windows OS for smartphones. Also a change from the home screens and app drawers may have led customers to pick Windows Phone. And now Windows Phone 10 is here. The upgrade from current Windows Phone 10 is more complex and time consuming. It has to rectify all the faults Windows Phone 8.1 faced. After the release of Windows Phone 10 the whole web is discussing its features and change logs. We are here to find whether there still exist any limitations when we compare it to the Android and iOS. In this article we will see the limitations of Windows Phone 10 that we saw when we cross checked. Though the phone has just released in market in early 2016 and everyone would know about all the features of this operating system but the limitations of the same should not be neglected or ignored so easily. You all would be well acquainted with its features, now let's know about its limitations. One thing that Windows Phone users experience is the lack of availability of applications. If we take Android or iOS for example there are so many applications available for a single use we want. Developers are not so into developing apps for Windows Phone. This may be due to the less Windows Phone devices. One thing I have to say is that if developers created apps for Windows Phone platform too, the problem will be solved forever and this will encourage other developers too. Even though they make an app for Windows further updates are not properly provided and this forces the customers to quit on Windows Phone OS. This may not be a big deal but it has to be noted that the Windows Phone store is still behind in case of usability and aesthetic over Google Play. The "looks" does matters and Windows has done their work to a limit, but it needs to be upgraded. If we take Google Play Store we can see changes in appearances and usability of the store. Another thing to be noted is that Windows Phone store does not allow installing applications downloaded outside Store. This can't be considered as a drawback but an advantage. But maximum customization is what users wants. We can find tons of sites providing applications for Android and thing to be noted is that "all that you is on your own risk". Windows OS will not allow permission for 3rd party applications to gain access to features like SMS, call log etc. Usually Windows Phone devices are priced a bit more than Android devices. The company has to make each and every device to support the latest Windows Phone OS just like iOS. Another thing is that manufacturers other than Microsoft should come up with more Windows Phones and this will help the OS to be more into people. Now when we hear Windows Phone OS, Lumia is the word that comes into our mind. That has to be changed. More manufacturers should come forward with more Windows Phone 10 devices in all price ranges. 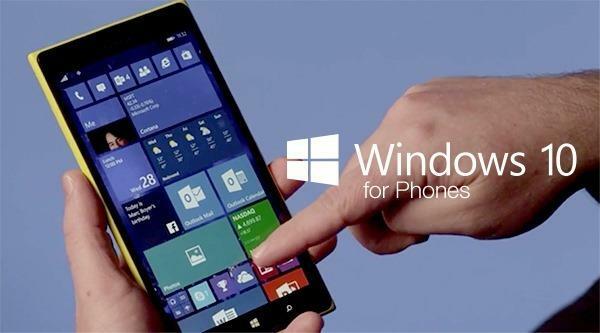 There are reports that the Windows Phone 10 experience will be different for 512MB RAM devices and 1GB RAM devices. And that should be corrected. The current OS allows the user to use any image as the tile back ground and the thing is that's all we can do. We can't really change the looks and feel of Windows Phone appearance. The OS becomes catchier when it can be changed according to user's interests. There should be a 'theme' like thing for Windows Phone OS too, by changing the design and looks of tiles and all or providing another image behind tiles, as we see in Windows PCs. These are the things that were found to be the limitations of the Windows Phone 10. Well if you think these are not a big deal, then Windows Phone 10 is the best OS for you. It keeps you safe from malware attacks and all. Gives you better battery backup than Android and iOS devices. You will get one Windows device for the same price as that of an Android device. If you think there are more to the list comment below and if you think there are mistakes in the ones we made point them out. We learn from mistakes. Samsung has recently launched a new Windows based smartphone called Samsung Omnia M. Read the article to know its features, specifications & our review on this gadget. People always look for the latest updates provided by the developers so that they can update and enjoy the latest features. So here are some of the updates from Nokia windows phones which users are going to check.